As a high school student, I was strictly forbidden to write in books. As a professor and writing consultant, however, I take great pleasure in teaching people to do exactly that. Most of us are no longer working strictly with paper documents, however, and as great as digital texts can be, there are still some limitations that require workarounds. 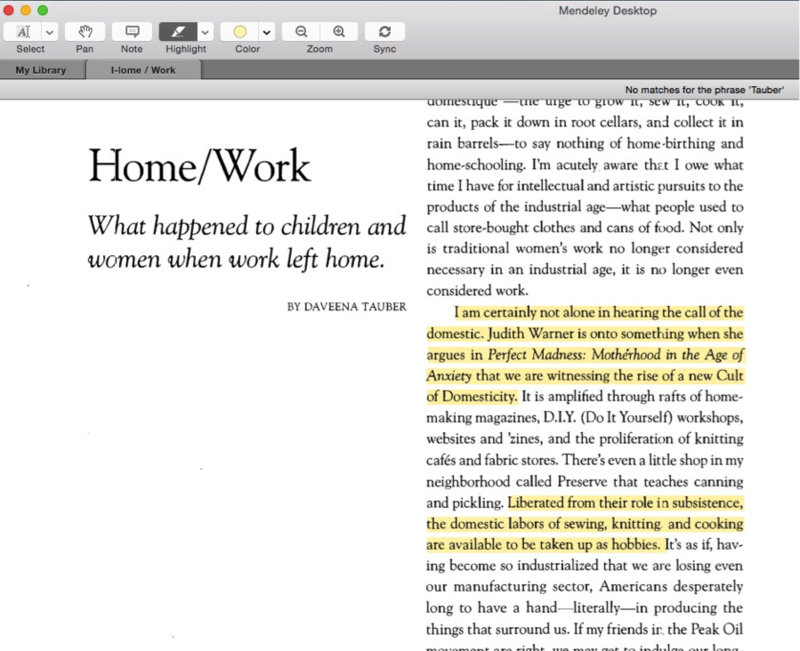 Many screen readers (Mendeley, Adobe, Kindle) allow us to highlight text, but not to “write” in the margins. Yes, you can insert notes, but you cannot easily see them without clicking into them. Is this important? I think it is. Highlighting tells us that something is important but not why. If I were to open this text months from now, I would know that I thought these passages were important, but I would have to re-read in order to know what I thought was important about them or what function they served in the text. One of my clients came up with an interesting strategy to solve the problem and make his highlighting more meaningful and useful. Check it out, and while you’re there, subscribe to the ScholarStudio channel to find lots of great writing strategies. How do you annotate digital texts?